I have no idea whether the State Department official who interviewed Tashfeen Malik, the woman with a Pakistani passport who was involved in the shooting in San Bernardino yesterday, could have sensed her future, murderous behavior. I doubt it. I do know that someone granted her a K-1 visa (the "Fiancé(e) Visa" for the prospective spouse of a citizen), that she came to the United States on this visa, and subsequently joined her citizen husband, Syed Farook, in the mass killing at the social services center. 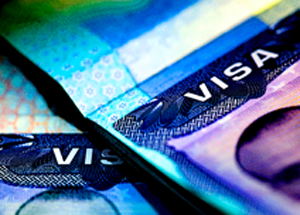 What may not be known about the K-1 visa is that it is practically never denied. Almost four years ago I wrote about visas that were hard to obtain and those that were easy, concluding from 2010 State Department data that K-1 and K-2 (the latter for the children of K-1s) visas were highly unlikely to be denied, with the number of issuances being 94.5 for every denial. This was almost as clean a record as there was for NATO officials (who have a visa category all its own), where there was only one denial to 191.6 issuances. After a call from a reporter, Brendan Kirby of LifeZette.com, I checked the ratio of denials to issuances in the most recent year available, 2014. I found the instance of K-1 visa denials to be even lower than it had been in 2010; in 2014 there 304 issuances for every denial. If you put that in percentage terms, that was a 99.7 percent approval rate (which, for older readers, is even better than the Ivory Soap claim of being 99.44 percent pure). To the best of my knowledge we have had aliens from the Middle East killing people in the United States, or trying to do so, on tourist, student, and immigrant visas, but this is the first one to be in the K-1 class. Maybe we should be more careful about issuing these visas in this category, too, along with all the others. Just because someone is entering the country as the beloved of one our citizens should not bring out an automatic rubber stamp of approval.